Our Next Learn to Curl session is Saturday March23, 2019 at 7:00pm. There are a limited number of spaces for our learn to curl. Those who have pre-paid have a guaranteed spot. Drop-ins will be accepted if there are any spots open. If you have always wanted to try curling, now is your chance! 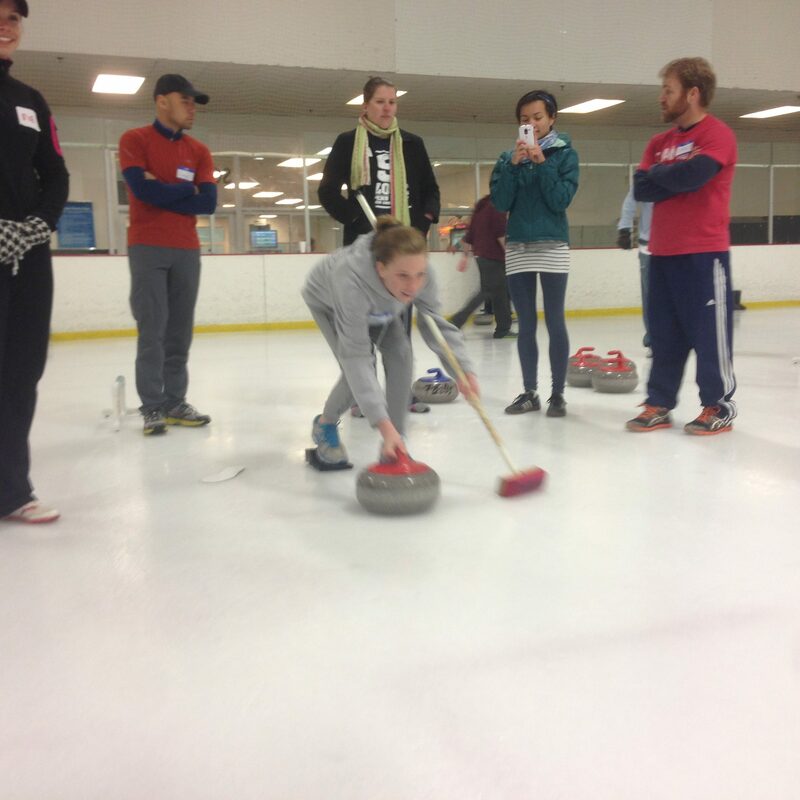 Our instructors will teach you the basics of curling in a hands-on class, on the ice. You will reward yourself with a mini game at the end of the session, to put your new skills to the test. Don’t wait to get started on your new adventure! We will supply all the curling equipment but please come properly dressed. Rubber soled flat shoes, like tennis shoes, is a must for you to participate in this class. Wear warm comfortable, loose-fitting clothing where you can stretch your legs. Top layers are a plus, as we get more active in our second half of the session. Most people get warm and adjust by taking off a layer or two. Mittens or gloves are a plus if you are sensitive to cold. We welcome children, however, they must be at least seven years old to participate. Children under the age of 18 must be accompanied by an adult to sign a waiver. Please bring your children (if you like), even if they will not participate. They can watch from our bleachers or sit at the hockey booth. This solves your babysitting needs! All sessions are held at the Las Vegas Ice Center, 9295 W. Flamingo Road, Las Vegas, NV 89147. Arena phone – 702-320-7777.